Skylark Blog: I Just Got Divorced, How Do I Change My Name? I Just Got Divorced, How Do I Change My Name? While there is a separate Petition for Change of Name in the Probate and Family Court, you can also change your name pursuant to a divorce judgment if your name change happens to be due to a divorce. There is a $150 filing fee plus a $15 surcharge for filing of a Petition for Change of Name. Technically there is only a $100 fee for changing your name pursuant to a Divorce Action, but this fee is seldom enforced. If you are not sure if you want to resume a former name during a divorce you may still change your name later by filing a Petition for Change of Name with the court, starting a new court case specifically for that purpose. Whether you change your name pursuant to a divorce case or pursuant to a Petition for Change of Name, there are some important logistics that you should be aware to record the name change with various agencies and organizations. The court will not contact the Social Security Administration on its own. You will need to obtain a certified copy of your divorce decree (discussed further below), fill out and submit Form SS-5, and mail them both to your nearest social security office. The Internal Revenue Service will be notified automatically by the Social Security Administration concerning your name change. You will need to go to the Registry of Motor Vehicles in person to have your license and registration changed. • If your passport is valid, you have had it for more than one year, and you were over age 16 when it was issued to you, fill out Form DS-82 and follow the directions for submittal. You will need a certified copy of your divorce decree for this form. • If your passport is valid, you have had it for less than one year, fill out Form DS-5504 and follow the directions for submittal. You will need a certified copy of your divorce decree for this form. • If you do not have a valid passport, you will need to fill out Form DS-11. You will need a certified copy of your divorce decree for this form. Additionally, you will need to submit this documentation at an Acceptance Facility or a Passport Agency, and not by mail. To change your name on the voter registration rolls, you can go to the town hall, or some websites such as www.RockTheVote.com allow for name change submission. You may also be able to do this at the RMV when you update your license. You might also want to change your name at the Post Office. You can do this in person, or online. 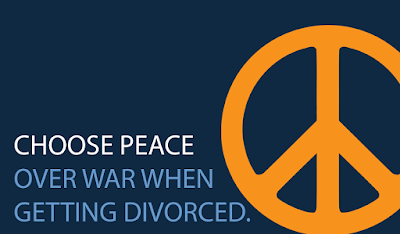 Finally, regarding actually obtaining a divorce decree, the court does not automatically send you a copy of your official absolute divorce decree (the final decree that becomes available 90 days after the issuance of the Judgment of Divorce Nisi). You can obtain a copy by mail or in person at the court. The fee for a certified copy of the divorce decree is $20, plus $1 for each page except for the first. You can call the court and ask how many pages it will be, and mail in the appropriate payment. Should I Sign My Divorce Agreement? Is there NO CHANCE OF RECONCILIATION? Is my iTunes Account a Marital Asset?